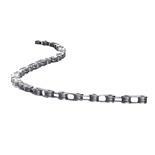 Light weight: I believe they are approx 20 grams heavier than S-works, but can be found for about half the price online. Stiff soles: Easton know a lot about carbon, particularly in the bicycle industry. The sole isn't just some cosmetic carbon done in a random factory in China. 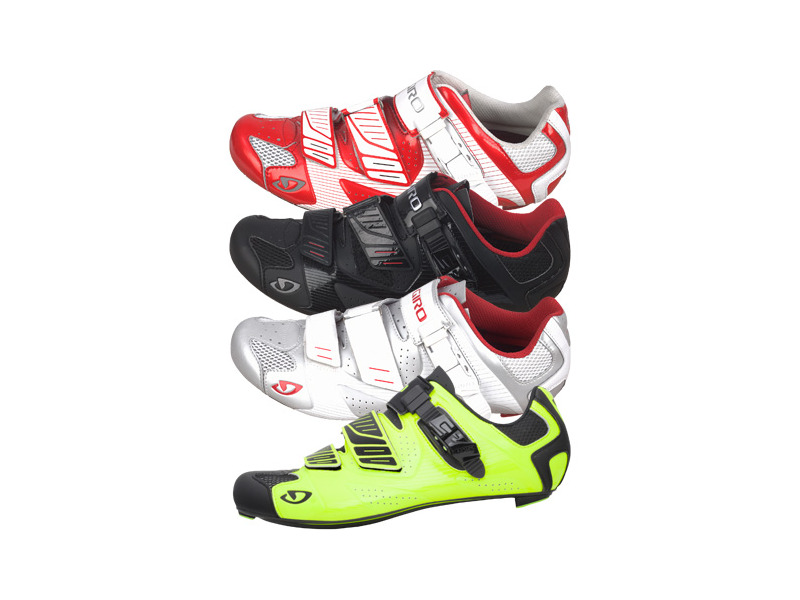 Fit: Many brands of cycling shoes have a very 'Italian' fit (narrow, lower arch), which is great if you have feet like that, however many in the US, UK, Aus, NZ etc have wider and higher arched feet. 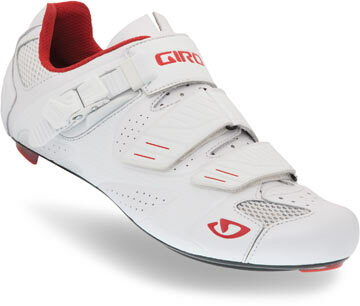 The Giro shoes seem better suited to the US market than some Italian brands. Easy Clean: The shinny (I have the white) outer surface is easy to wipe down with a damp cloth to clean. Tire marks on the toes are harder though. Tire marks on the toes are harder to remove. The toe and heel tread is a little small, and still I scratch up the beautiful carbon with the very limited walking I do (just getting on and off the bike). 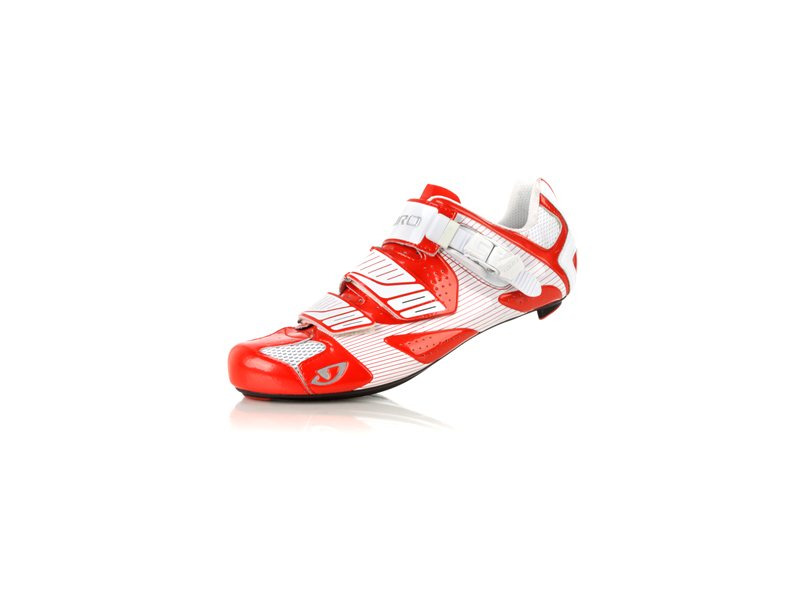 For shoes costing this much, I'd like them to last many years (my old Specialized Pro's are 10 years old, and still going strong). 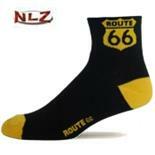 I could not get the insoles to suit my feet, as the arch support just seemed in the wrong spot. 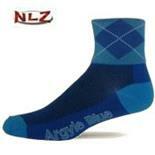 I switched in my specialized Blue/medium insoles and they fit much better. Light weight shoes, up there with the lightest ratchet shoes (except for some of the Boa shoes). Stiff sole, nice build quality. Good looks. I would definitely point others to these shoes, they're very nice shoes and can regularly be found for 30% off online/ebay. 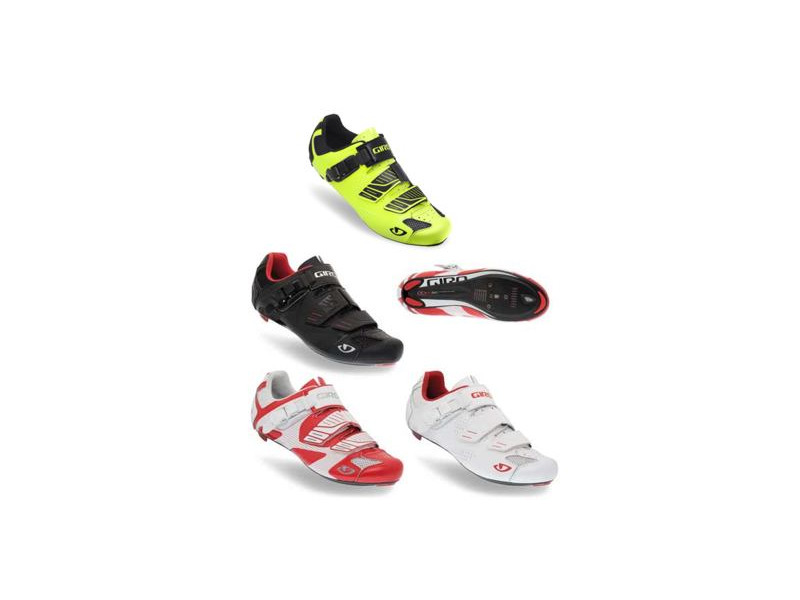 I would consider them along with the top offerings from Sidi, Specialized, Spiuk, DMT etc .. basically all the shoes in the 250+/-25 gram bracket (for size 42, seems like that's how they compare shoes). Confort, confort, confort and light. 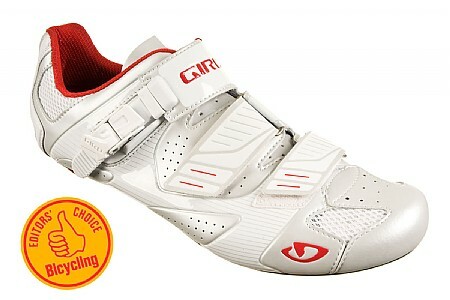 One mounth and 760 Kms ago I bought these shoes in order to replace a pair of shimano (high end model). I never felt really fine in those shimano, in fact I had problems with my left foot. 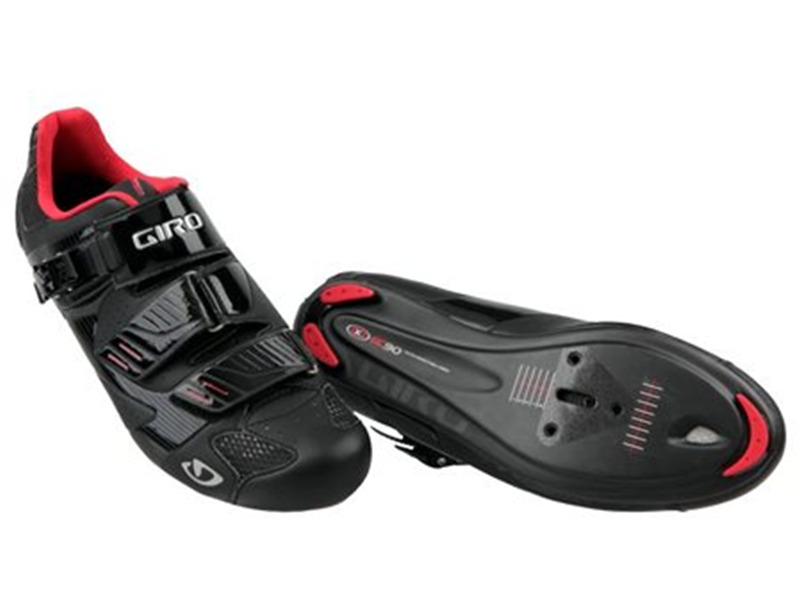 For me Giro always have been a helmet bran and nothing so special about shoes but when I tryed at the shop I noticed someting really diferent them I decided by the Factor . From the first time I ride on then I feld the wonderfull fiting. I feel my feet can "spread" wide open the insole and a can pull with my hole sole, without any tension. They feel so light and the simplicity of their structure is so pretty and easy to clean. Great shoe and a very good value. 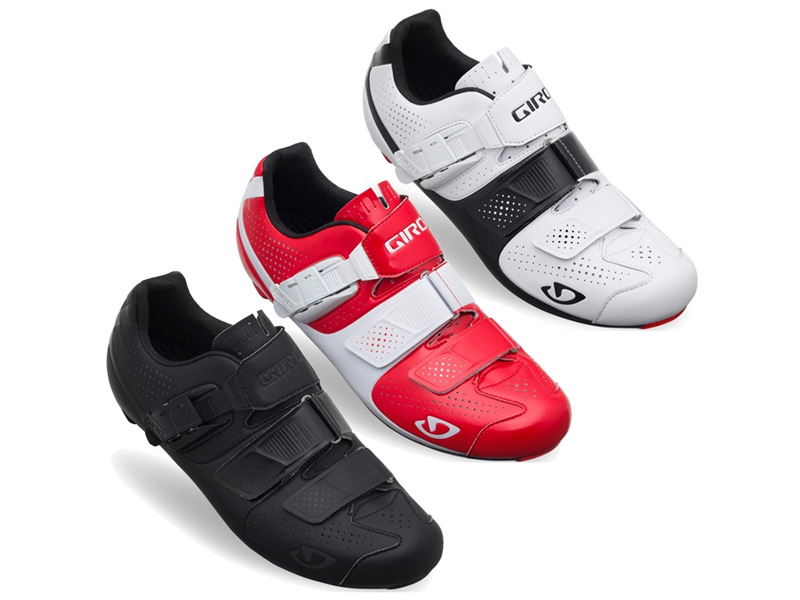 In the bike shoe market, there is nothing like a light, carbon soled shoe. I have tried many nylon and plastic soles, and nothing compares to krabon fiber. There are many shoes to choose from, and I'm sure they are all good. 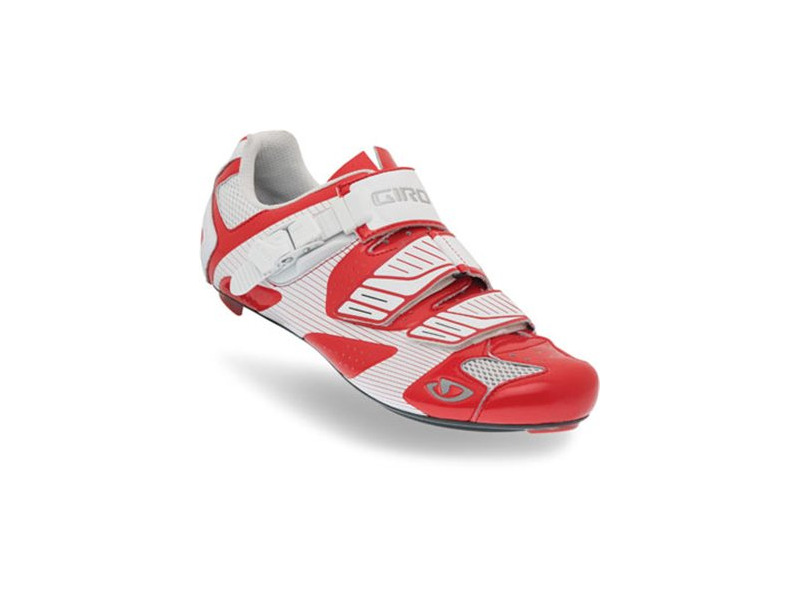 I chose the Giro because it is a good price, it is light, and it was suited to my foot shape. The Factor is light, well designed and executed, and comfortable. 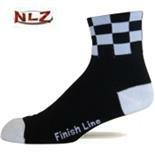 At $280, it is actually a good value when compared to other companies offering 100% carbon fiber soles. 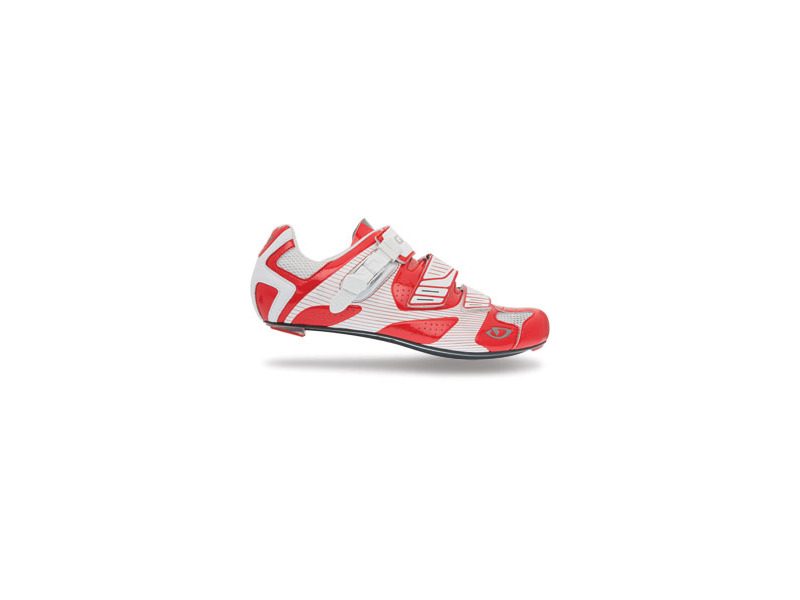 I ordered a 41, my Sidi size, and it is pretty close. The Factor is a little longer with a pointy toe, but otherwise fits very well. With the Supernatural fit thingy, I am able to put a lower arch in my right shoe compared to my left (don't ask me why, but it just feels better). The buckle on the Factor is very well made. 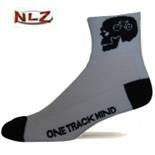 Riding in hot weather, it is hotter than Sidi's Lorica microfiber, which is unmatched in the shoe market for breathability, suppleness, and durability. But, that Sidi stuff comes at a pricepoint I wasn't able to handle at this point. A note on weight. A lighter shoe makes a difference, period. The Factors replaced a plastic soled shoe that weighed 400 grams each. The reduced weight of the Factors is very noticeable. A note on cleat placement. 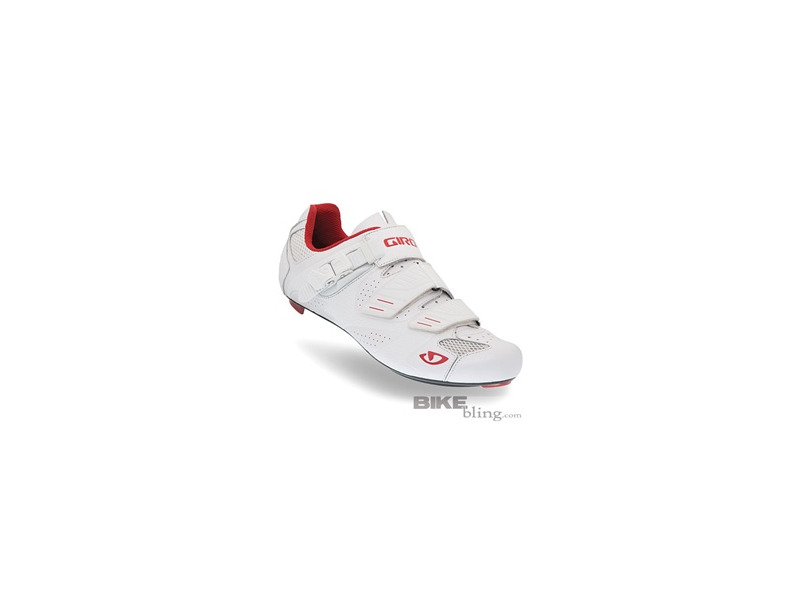 The Factors allow far greater aft placement of your cleats than many other manufacturers, including Sidi. Aft cleat placement is a trend worth following. Try it. If you don't like made in China plasticy stuff, go for Sidi's or something else. But, in my opinion, the Factors are a great balance of quality, weight, and price. I recommend with 4 stars.